This post is about the top skills you need to learn in order to flourish in a career as a technical writer. Technical Writer is currently one of the top jobs in the Creative & Media industries, and it’s also an expanding field. 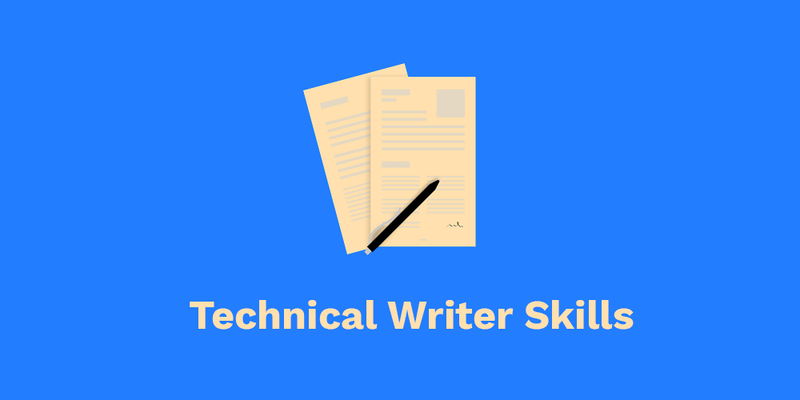 The role of a technical writer is broad but it can be boiled down to a key skill set. Writing is the core skill of a technical writer but by no means the only skill. We’ll go into a list of those skills now, with some tips on how you can improve them! We’ve already covered the basic principles of plain writing in another post. As a technical writer, you must be able to write in a clear and compelling way. Technical writing is a little different from other writing in that it’s not meant to be entertaining – unfortunately, not many people read technical writing for fun. It’s to-the-point and this is important, since it can mean the difference between life and death in some cases! Great technical writing is more about the audience than it is about the writer, and it should be tailored to your their specific context. Your writing should emphasize the channel of communication between you as the writer and your intended audience. Ask yourself, what is your intended message? How can you best communicate that message in an efficient and clear way? This comes up time and time again as a core technical writer skill. It’s been the subject of many conference talks at Write the Docs. Empathy is a skill and you can build your empathy. Empathy is your ability to put yourself in someone else’s shoes and imagine what it is like to be them. It may be one of the most important skills for a technical writer to have. Use your empathetic abilities to guide your writing and recreate your user’s mindset and situation. The job of the technical writer is often to be a bridge between users and the rest of the company. Step outside your own biases to experience someone else’s perspective. Build empathy by really trying to imagine what it is like to be your user. Ask yourself, what causes them pain? What makes them happy? It’s not possible for a technical writer to ask the Subject Matter Experts for all the answers. Research skills are the foundation of the technical writers skillset, which is the ability to gather and interpret information. Research is all about finding the information you need and using your skills to find reliable sources. You must be able to critically review the information in front of you, and decide what’s worth including in your writing. To even begin to research, you must formulate a potential question or framework. Research is the ability to audit what you already know, create an accurate picture of a product or tool, and identify the gaps in your knowledge. You should be able to assign the correct weight of importance to the different types of data you encounter, and be able to interpret the meaning of what’s in front of you. How does new information fit into the larger context? Ask yourself, how can I find out the answer to this question? What do I know already? What is missing? Just as problem solving is a key skill for customer support reps, so it is for technical writers. Technical writers are experts at using search engines to find out answers. Finding problems and fixing them is part of the documentation process. Problems are the foundation of the technical writer’s role – if you find a problem, you must document it. You have to be able to anticipate potential problems for users and provide a solution in your documentation. Sometimes the problem is so great it actually constitutes a bug in the software or problem with the product itself. Being able to distinguish between normal quirks and serious flaws is a key skill for technical writers. Interviewing Subject Matter Experts for documentation is another key skill for technical writers. You have to be able to identify the information you need from the SME and elicit that information in a polite, respectful way. You need the skills to put someone at ease, but also to keep them on track for the interview. Some challenges you may come up against include documentation being a low priority for the rest of the team, which creates a barrier for you to be able to get the information you need. Building relationships with colleagues and other Subject Matter Experts makes the job of a technical writer much easier. Remember, you are the bridge between the user and the rest of the company. It’s the technical writers job to know about everyone’s role at the company. You never know when you might need to call on someone for their input for documentation. Give everyone five minutes of your time and foster your community connections. Identify key influencers within your company who may be able to get you access to other colleagues, and befriend them. Editing your own writing is definitely an essential part of a technical writer’s job. Good writing is more about editing than it is actual writing. The editing process is where you check the grammar, spelling, and overall presentation of your documentation. Even though you could benefit from a professional proofreader, much of the editing can be done yourself. A writer can get too close to his or her work during the writing process. If you can, leave your documentation for a day before you review it for editing. If you’re pushed for time, change the font or colour of the document can help you see it with fresh eyes. Depending on what type of technical writer you are, the type and level of technical skill you need will vary. Some technical capacity is essential, even if it’s just an excitement for learning how things work. The more important part of your job is translating that functionality into clear and useful help documentation. Different types of jobs will require different levels of technical proficiency, and some technical writing roles will even require an engineering degree. Others require development experience. Technical Writer Bart Leahy has some excellent thoughts to offer on the need for a degree. Technical skill needs to be judged on a case-by-case basis, and a good rule of thumb is to always try to develop your technical skills. Technical Writer Amruta Ranade has some great advice on improving your technical skill. Some technical writers specialize in producing technical illustration, but the more general technical writer can still benefit from developing his or her design skills. A lot of documentation is now web-based, and the web is a naturally visual medium. Being able to include a diagram or attractive screenshot with your documentation can help with comprehension and take it to the next level. If you can make videos, so much the better. You need to be mindful of presenting your written and visual content in an accessible way for screen readers, but visual content can go a long way to engaging your audience. Skills are not the same as attitude, although attitude is important. You need to be curious and persistent to be a technical writer, but you must also develop your concrete skills. Technical writers have a diverse range of abilities, and must constantly stay up-to-date with the latest technological developments. At times they are required to sit down and write for long periods, and at other times they have to network and interview people. They also have to understand and be confident with technology. Technical writers are not your typical “writer types”. Next, find out about the tools that technical writers use in their field, or check out what makes a good technical writer great. You can learn more about our knowledge base software used by technical writers. Take it for free spin. Community builder at KnowledgeOwl. Blogs. Copy. Documentation. Freelance content writer for creative and ethical companies. Contributing to open source and teaching technical tools. 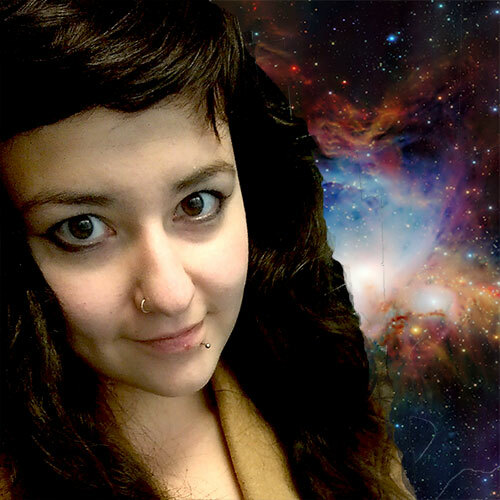 Catherine blogs on her personal websites Away With Words and Awkward Writer. She runs the Write the Docs Northwest meetup group.